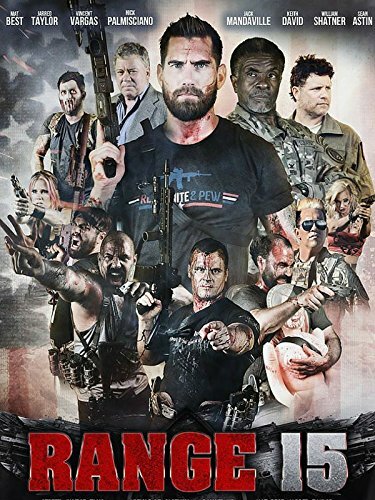 Guns of Hollywood talks with the some of the team behind the veterans versus zombies movie Range 15 (2016) and the upcoming documentary Not a War Story (2017). Joining us this week are Nick Palmisciano and Vincent “Rocco” Vargas. Some of the guns in this week’s episode include:Agency Arms Glock 17, Primary Weapons Systems AR 15 and AKMSU. Be sure to check out the Not a War Story premiering June 30th. #NotAWarStory is the BTS documentary of Range 15, the most highly decorated military movie of all time w/ cameos by William Shatner, Danny Trejo, Sean Astin, Keith David, Leroy Petry, Clint Romesha, Marcus Luttrell, UFC Fighters Tim Kennedy and Randy Couture, and more. It became an instant cult classic that showed in nearly 800 theaters nationwide and hit #1 on Amazon and #2 on iTunes in the summer of 2016. Directed by Emmy-nominated, award-winner Tim O’Donnell, Palmisciano's red carpet and WORLD PREMIERE of #NotAWarStory will take place at the Academy of Motion Picture Arts and Sciences in Los Angeles, CA on the eve of Friday, June 30th, 2017. The seats will be filled with industry executives, Hollywood's famous faces, high-ranking military and veteran supporters. The impact the military community has upon this film is unbelievable. Their fans aren’t shy of a cult following, exuding the positive message set forth of sharing their mission as veterans to transitioning and military post war. The documentary trailer has already been viewed by nearly a million people in under a week’s time out on Facebook and YouTube. . See attached press release, teaser link to the trailer, synopsis and photos below. GOH 162 - The Purge (2013) - Go wild - you deserve it. GOH 163 - The Purge: Anarchy (2014) - Heading home and your car breaks down - oh no it’s purge night! GOH 164 - The Purge: Election Year (2016) - The New Founding Fathers are baaaaaaack!